Celebrate and enjoy a wonderful day in the Kurhaus! Our rooms provide a celebratory setting for a glamorous wedding or family party, either in an intimate group of family and friends or as a large banquet. You can celebrate in comfort with over 100 people in our classically elegant Kursaal, where a wonderful atmosphere for a lively party with music and dancing is guaranteed. 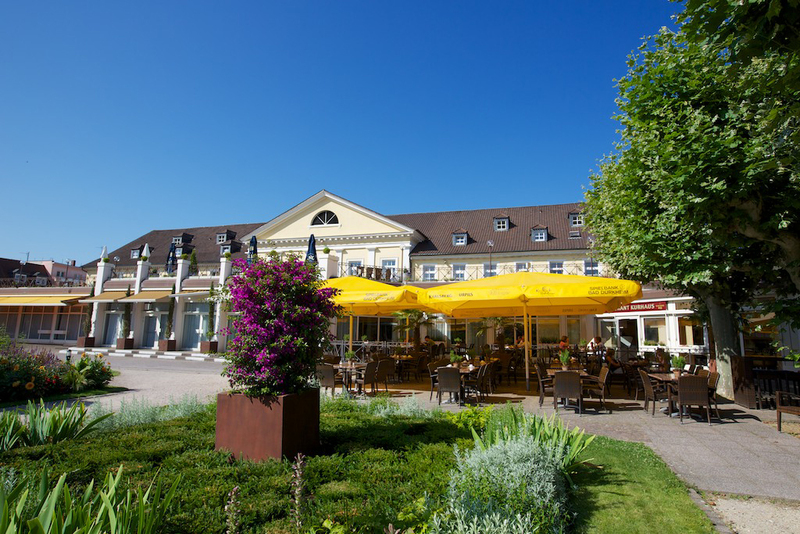 Our terrace on the Oberen Kurpark offers a fabulous Mediterranean setting, particularly on a sunny summer day. We will be happy to advise you and use our expertise to help you implement your own designs and wishes to create your memorable occasion. We can organise the decorative design of your choice at the cost price, with the table and menu cards included in the service. Our chef will help you select a buffet or menu and will be happy to advise you in accordance with your wishes and requirements. We would be delighted to give you a guided tour, even at weekends! “I DO”! Celebrate your dream wedding! 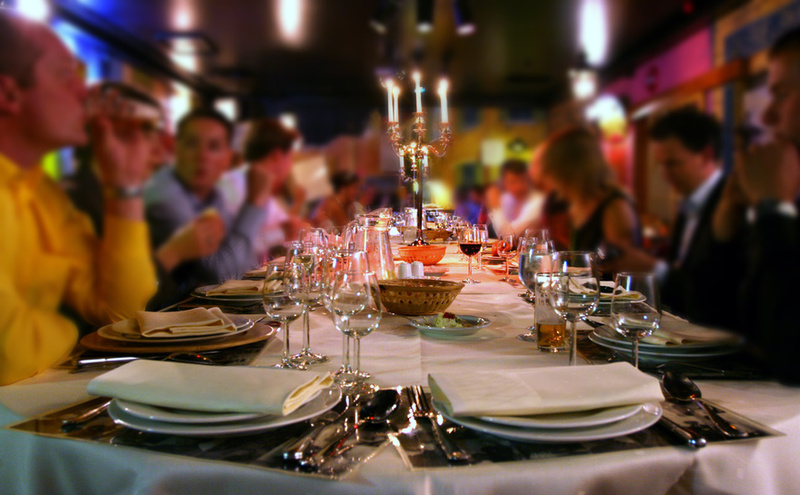 From a champagne reception to a large banquet, anything is possible! You can celebrate in style and comfort with 100 people in our classically elegant Kursaal, which provides a wonderful atmosphere for a fabulous wedding with music and dancing. 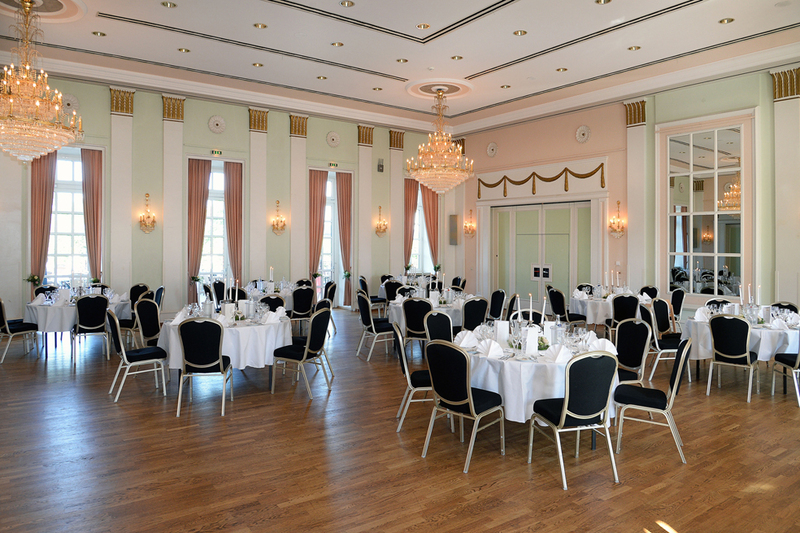 The smaller Kursaal, our “Leiningers” restaurant or one of our beautiful rooms in the Kurpark-Hotel are ideal settings for more intimate wedding parties. We provide our premises free of charge – for your dream wedding. Our terrace overlooking the Kurpark has a wonderful Mediterranean atmosphere in the summer when the sun shines. Enjoy your day under a blue sky. We will be happy to advise you and use our expertise to help you implement your own designs and wishes to create your memorable event. We can organise the decorative design of your choice at the cost price, with the table and menu cards included in the service. Our chef will help you select the buffet or menu and will be happy to advise you according to your wishes and requirements. You can of course bring your own cake for your coffee table (cover charge), or order your wedding cake from our in-house confectioner. Please enquire about our all-inclusive offers and we will be happy to advise you. The Kurhaus bar can cater for any taste, from aperitifs to champagnes. If you have a favourite wine you would like to accompany your meal, bring it to the table and we’ll only apply a corkage charge. 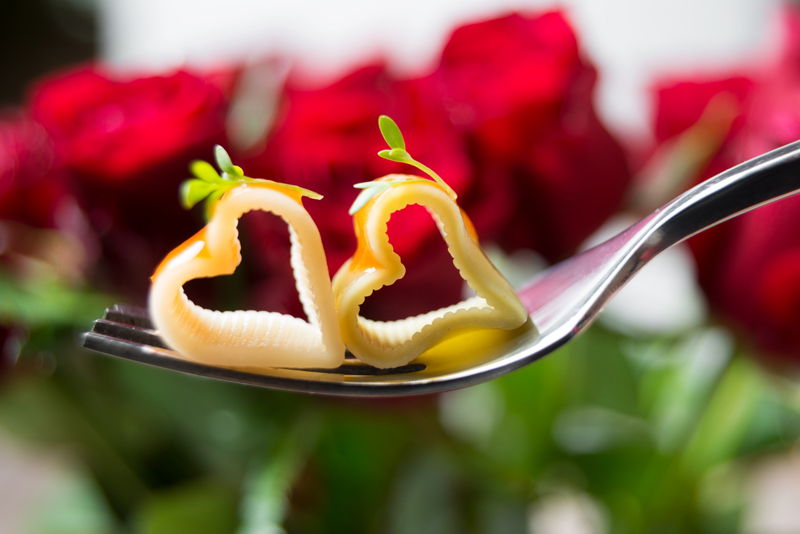 Celebrate and enjoy a wonderful day, because as the newly married couple you are our guests! You are welcome to spend your wedding night at the Kurpark-Hotel free of charge as our wedding present to you.